DESGUA has worked hard to respect the autonomy of Las Marias while at the same time providing opportunities for the women. DESGUA provides programs that focus on closing the technology divide, such as computer classes and a Build Our Own Blog workshops for the daughters of Las Marias. Las Marías has actively been participating in conferences, public events, and information exchange meetings with members of our DESGUA network such as Grupo Maya K’iche, Grupo Cajolá, Proyecto Linguistico, the Proyecto Compa film series and the Guatemalan Human Rights Commission conference. At the Slow Food Festival held every two years in Italy in October 2010, the leader of Las Marías, Juana Lopez Mendez, was chosen to represent small scale producers and organic farmers in Guatemala and DESGUA. 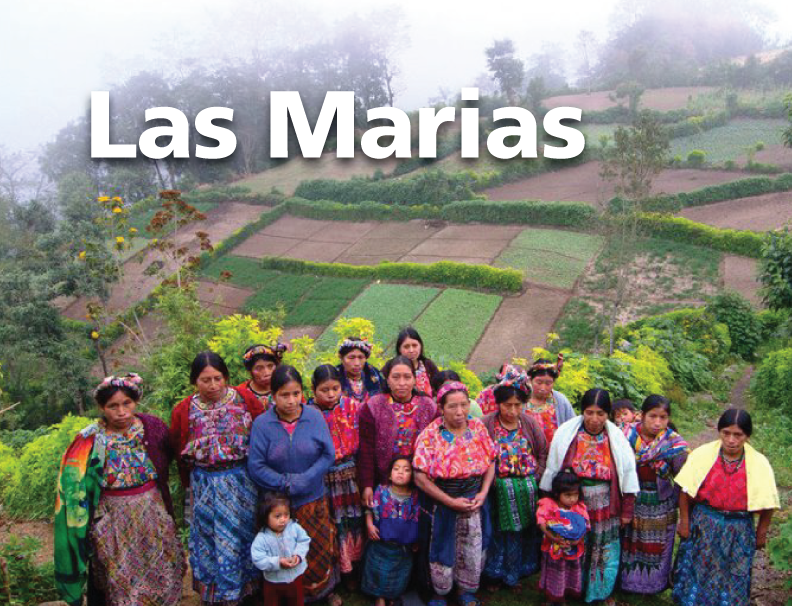 Las Marías is a group of approximately 40 Mam women working subsistence organic farming and textiles in the municipality of San Martin, Sacatepequez.